BLOOMINGTON, Ind. -- Venture capital firms and start-ups should heed the time-honored real estate mantra, "location, location, location." According to first-of-its-kind research, the geographic distance between VC firms and the companies in which they invest affects performance -- positively and negatively -- depending on how the firms stage disbursement of capital. The study, conducted at the Indiana University Kelley School of Business, shows VC and entrepreneurial firms that are closer together reap financial rewards when they stage fewer financing rounds. This is because VC investors have more opportunity for the kind of hands-on monitoring and management that improves performance and reduces the need for stage financings, which eat up time and resources. 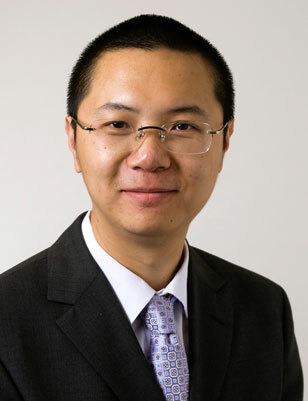 "When VC investors are closer to their portfolio companies, the start-ups are more likely to go public, enjoy higher operating performances in their initial public offering (IPO) year and more likely to survive after the IPO," said Xuan Tian, assistant professor of finance at Kelley and author of the study. "Conversely, when firms are farther apart, frequent rounds of financing become necessary substitutes for hands-on monitoring, and while this is a more costly approach it can yield returns that are similar to those for firms that are nearby," he said. According to Tian, the study underscores that the VC world has neither capitalized on being close geographically nor determined how best to offset the impact of distance. "The missing link has been an understanding of the relationship between stage financing and geographic proximity. Until now, there was no clear evidence of how these factors are linked and could improve opportunities to increase profitability," Tian said. Tian expects that his work will help spur more profitable ventures, explaining that it expands the "20-minute rule" adhered to by some VC investors. This rule holds that startups should not be funded unless they are within a 20-minute drive of the VC firm offices. He said that Facebook founder Mark Zuckerberg likely took this into account when he moved the company's base of operations from Cambridge, Mass., to Palo Alto, Calif.. One year later, Facebook received its first round of funding, about $12.7 million, from Accel Partners -- just four blocks away. Tian also believes the study reinforces the importance of face-to-face interaction in business relationships. "None of our advancements in communications technology have replicated the inferences one can make from looking a colleague in the eye or having regular in-person conversation as you get to know each other," he said. "This type of correspondence is valuable enough that VC investors and investees must conduct costly rounds of stage financing to achieve the same effect." Tian reached his conclusions by analyzing the financial performance and distance to VC funders of 10,000 startups that went public between 1980 and 2005. His study, "The Causes and Consequences of Venture Capital Stage Financing" is forthcoming in the Journal of Financial Economics.